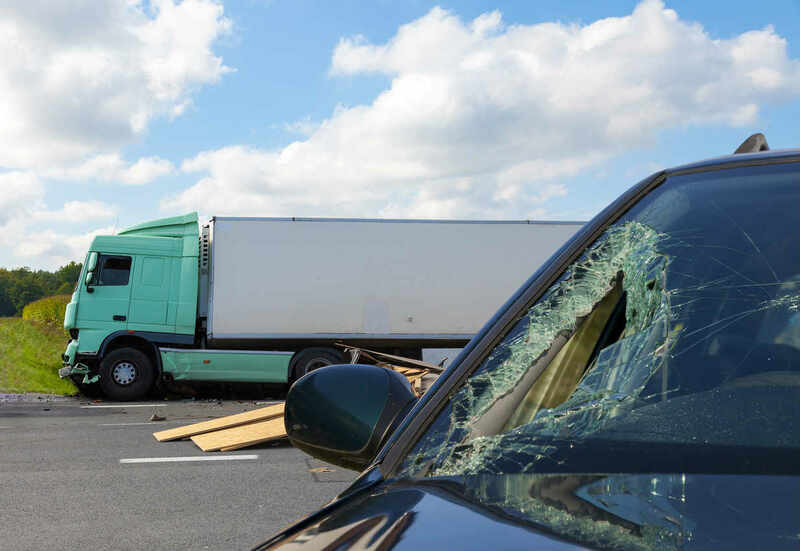 When determining liability in a car-truck crash, all regulations need to be taken into account. When you have an accident with a commercial truck, things often get trickier than when cars crash. The problem is, with trucks, it’s not simply two drivers that are involved. It involves the drivers, as well as the owners of the trucks. Also, there are also more regulations with commercial trucks so third parties such as the manufacturer of the truck, and even the manufacturer of the brakes can become involved. Our St Louis car crash attorney explains that when determining liability in a car-truck crash, all regulations need to be taken into account. These regulations can differ from state to state. So if you have an accident in a truck, it’s important to speak with a knowledgeable attorney. Truck drivers must be insured for $750,000 for injury and damage to property. However, when they carry hazardous materials the sum the driver must be insured for can be up to 5 million dollars! Again, legal requirements for insurance can differ from state to state so the driver must know how much insurance they need and ensure that they are covered. If you are hit by a truck, whether you are in a truck yourself or you’re in a car or you are a pedestrian, the claims procedure may become highly complicated. You may wonder, who do you sue? Is it the driver, or the truck owner? There are many other aspects to this type of case. Dealing with it all alone will likely become overwhelming. Having an experienced attorney on your side can benefit your case greatly. A knowledgeable attorney will know the ins and outs of all the processes involved. They will be able to deal with the lawyers from any and all involved parties. Being involved in any road accident can be traumatic. Being in a car-truck accident can really shake you up. At a time like this, it’s important not to make your condition worse by worrying about legal proceedings. Whether you are concerned that you will need to claim compensation for medical bills, or because you are now unable to work, or you’re worried that the other party will attempt to sue you, you need to put these things out of your mind so you can focus on your own recovery. Write down everything that happened while it is still fresh in your mind and speak with a St. Louis accident lawyer at our law office. Call (314) 361-4242 for a free case evaluation.